The earliest portion of the house may have been constructed for William Camp as early as ca. 1694. A two-story addition, with a slightly lower roofline, was added to the west by Ezekiel Ball ca. 1750. It was used as a hospital for wounded soldiers during the Revolutionary War. 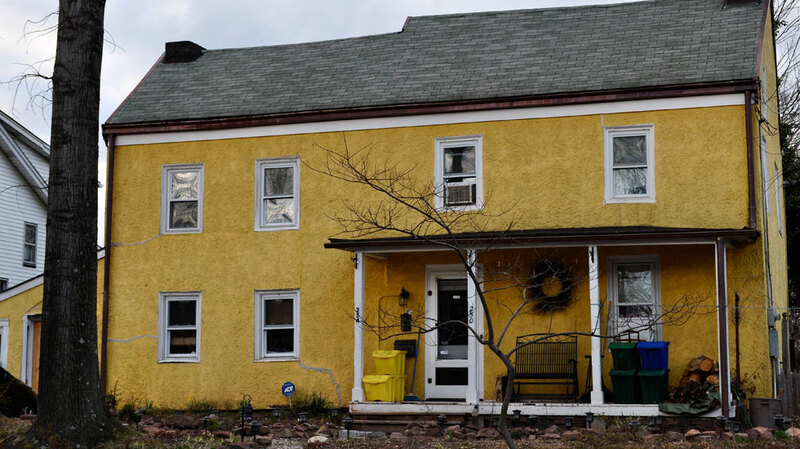 As one of the oldest houses in town, the Ezekiel Ball House is an example of an early wood frame vernacular building that is a reminder of 18th century agrarian life in Maplewood. Its earliest owners added to the structure as their families and finances increased while maintaining many of the original characteristics. Few major exterior structural changes have been made since Ball’s son Edward, who owned the house from 1802-1815 built the latest addition. As the population of Maplewood increased and more home sites were needed, the original farmlands surrounding the house were sold to various other owners. Now this historic farmhouse is the only remaining structure of Ezekiel Ball’s farm.